Of course, none of this will come as a big surprise to the many West Virginia families who have tried to navigate the black lung benefits system. And even the specifics of how Jackson Kelly handled these cases is familiar to some Gazette readers who remember our coverage of the case involving Jackson Kelly’s Douglas Smoot, who lost his law license for a year for his behavior in a black lung case, and our short items about the related lawsuits filed against Jackson Kelly (see here and here). There’s more to come in this “Breathless and Burdened” project, with stories scheduled from the Center for Public Integrity tomorrow and Thursday. They’ve also partnered with ABC News, which will broadcast pieces Wednesday on World News and Nightline. 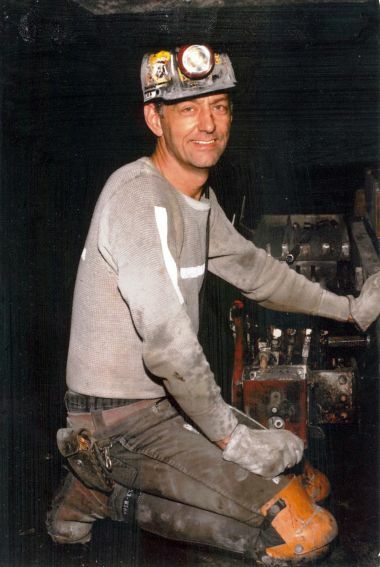 The revelations in this story should also come as no shock to West Virginia political leaders, who certainly hear frequently from constituents about problems in the black lung benefits system. At least one of our elected officials, Sen. Jay Rockefeller, D-W.Va., has legislation pending that’s aimed at least in part in fixing some of these problems. I’ve asked both Jackson Kelly and Alpha Natural Resources if they would care to respond to the story. I’ll post any response they provide. ” We will not be able to meet your deadline. As I stated previously, we cannot comment on pending cases. The general issues you suggest the interview could be limited to cannot be separated from privileged issues; therefore, again, we would not be able to discuss the Fox case or the other issues involved until the 4th Circuit has ruled, and all involved parties have granted waivers. I am sorry. I have tried. How come you can’t do good journalism like this? Rather that quote others — or even worse, your tedious opinions on other journalism — go do good stories for a change. Thanks for your comment … I certainly try my best to do good stories for our paper, but of course one of the purposes of this blog is to pass on to readers the good works of other journalists who are covering these issues. There’s no question that this story has been sitting there waiting for someone to jump on it — see the links to our previous mentions of these suits in the Gazette – and I give Chris Hamby all of the credit in the world for doing a great public service with this project. I sure wish I had done this project, but I also welcome good work by anyone who wants to examine these sorts of practices by the coal industry. Ken, contrary to “question’s” comment, I applaud the work you do. The Center clearly had the financial and time resources to dedicate to this, something any newspaper – even the NYT or WaPo – would find incredibly difficult, and something well out of reach of the Gazette. I read the stories – both “Breathless and Burdened” and the article on the appeals court arguments set for today – and found them riveting. I appreciate your bringing them to the attention of your own audience. Ken Ward, Jr. is one of the finest journalists in the country. His dedication to covering issues in a professional way are unmatched. Ken’s colleagues in journalism admire his dogged reporting skills. Many in government agencies also appreciate that he keeps them on their toes. Ken Ward, Jr. and his editors at the Charleston Gazette are the best example of why a democracy will not survive without a free and open press. Many of his readers concur with my opinion, and especially appreciate his coverage of fatal injuries to coal miners—nearly all of which are preventable if only mine operators complied with the law. I take offense with your insult of Ken. It’s particularly maddening that you are not man (or woman) enough to affix your name to your comment. P.S. Chris Hamby’s reporting on the outrageous behavior of Jackson & Kelly with respect to miners with pneumoconioses is exceptional. Three cheer for Ken, and for Ms. Monforton. I heartily concur. Without a real name attached, online comments are weak and useless. I disregard them entirely, whether I agree with them or not. Thank you, Ken, for your ongoing commitment to West Virginians. If an underground miner has more then 20 years in the mines and he or she has spots on their lungs, then they have Black Lung! We need to pay them, all of the current laws on the books for Black Lung is trying to steal money from people who deserve those benifits. Lawyers, Doctors, and others who tried to prevent working people from drawing black lung profit more from the system then the miners. Ken: Thank you for being supportive of the coal miners and their struggles in dealing with black lung. As a miner who has been involved for 19 years in a court case for federal black lung benifits. I want to thank Chris Hamby for briging this to national attention. Part 3 of his series on black lung will feature my case and how new scientific research will change the way disease will be disagosed in future. Hopefully coal companies will be held accountable for this deadly disease.